Stay cool and hydrated with rove's Montenegro 2. 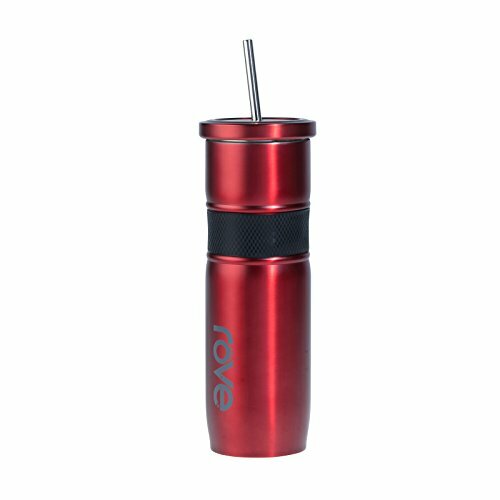 This double-wall vacuum insulated stainless steel tumbler is ultra-durable as well as odor, taste, and stain resistant. With a soft-grip design, a convenient bent straw, and availability in multiple electrifying colors, the Montenegro 2 is the ideal addition to your active lifestyle. Dishwasher safe. Double wall vacuum insulated. Keeps drinks cold longe. Less sweat, nomess, no puddles. Silicone band for a comfortable secure grip. Stainless stell construction. Ultra durable. Odor, taste and stain resistant. Naturally non-corrosive. Stainless steel straw. Fits most car cup holders. If you have any questions about this product by ROVE, contact us by completing and submitting the form below. If you are looking for a specif part number, please include it with your message.